The Lib Dems’ environment spokesperson, Baroness Kate Parminter, discusses past and present campaigns, the government’s green record, engaging the public – and Brexit. 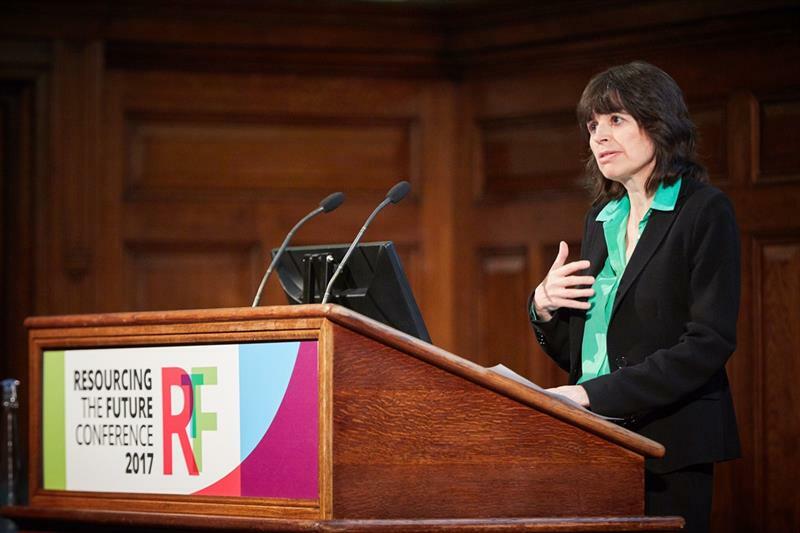 For an industry starved of government attention, it was a breath of fresh air to hear Baroness Kate Parminter, Liberal Democrat spokesperson on the environment, give a keynote speech at Resourcing the Future conference at the end of June. You could feel the collective sigh of satisfaction from the conference attendees that, at long last, here was a politician speaking a language that the waste sector understands. “The UK is not on track to meet EU recycling targets,” warned the Lib Dems’ deputy leader in the House of Lords. And the fault, she told RtF 2017, lies squarely with the government. “If the UK is to retain meaningful access to the EU, it is certain that complying with the Circular Economy [Package] will be necessary. Future progress is being hampered yet again by this current government’s failure to set out clear policies. It is very worrying about its approach to resource efficiency,” Baroness Parminter told the conference, before adding that “the topic ought to be at the centre of political debate”. This, of course, is music to the ears of an industry that feels itself badly let down by policy-makers who have become deaf and dumb to any subject other than Brexit. It should come therefore as no surprise that the Baroness is claiming the resource efficiency spotlight. She is eminently suited for it. Until May 2015, she was a member of the House of Lords EU Select Committee and Sub-Committee on Agriculture, Fisheries, Environment and Energy, and that year was a member of the Select Committee on National Policy for the Built Environment. She has also been appointed a member of the Select Committee on the Natural Environment and Rural Communities Act. From an early age, she says she has “always been passionate about the environment”, before adding that “it’s great to be responsible for the environment, which I really care about”. The Baroness was one of the campaigners who worked tirelessly for the introduction of the plastic bag levy. Indeed, she sees it as the highlight, so far, of her tenure as Lib Dem spokesperson. “Securing the five-pence charge on plastic bags after having spent a lot of time persuading less keen Tory partners to sign up to it has been one of the highlights of the last couple of years,” she says with obvious satisfaction. A campaign that is now firing her enthusiasm is a similar drive to implement a charge on disposable coffee cups. On the subject of the repercussions of decision-making, Parminter is scathing when it comes to the government and its “broken promises” on the environment. She enthuses about the reception she has received from the resource efficiency sector. “The waste industry is starting to come together in the way that agriculture and fisheries have been mobilised. There is a massive prize for the UK to be at the front of low-carbon and resource-efficient technology. We have the people, we have the expertise, we have the strands the industry needs to help the government which, instead, is moving towards a low-regulatory, buccaneering approach. Returning to the impact she has made on the waste sector, Parminter stresses: “The industry doesn’t get any leadership from the government, so to have a politician saying it’s an important economic agenda and that we could make progress is why the industry is pleased to hear what I have to say. Normally, the issue of waste management only hits the headlines when something goes wrong. “When you use the term ‘circular economy’ you get a glazed reaction,” notes the Baroness. “Even though it is at the heart of the issue. There is definitely a job to be done with language. It is not rocket science as we use products to help us live our lives and we have to think about what happens to them at the end of their life. To bring resources up the political agenda, Parminter is calling for the establishment of an office for environmental responsibility; something along the lines of the independent Office for Budget Responsibility. On the more contentious issue of whether or not the UK should hold a second EU referendum, the Lib Dem spokesperson refuses to eschew the party’s cherished internationalism. Finally, Parminter emphasises the importance of introducing a proposed Zero Waste Act.